Anyway, moving from the box to the contents inside, which includes: a ceramic diffuser, handsome black reads, and a bottle of Narcoflor scent. Put all of these together and you have one rather glorious object. The vessel itself is rather unassuming, a subtle ivory-coloured ceramic vase that goes with anything, but it’s the details that make it and one peek inside reveals a heady fuchsia lacquer that hints at the huge blooming bouquet one is just about to pour inside and diffuse around their home. Now for the scent. 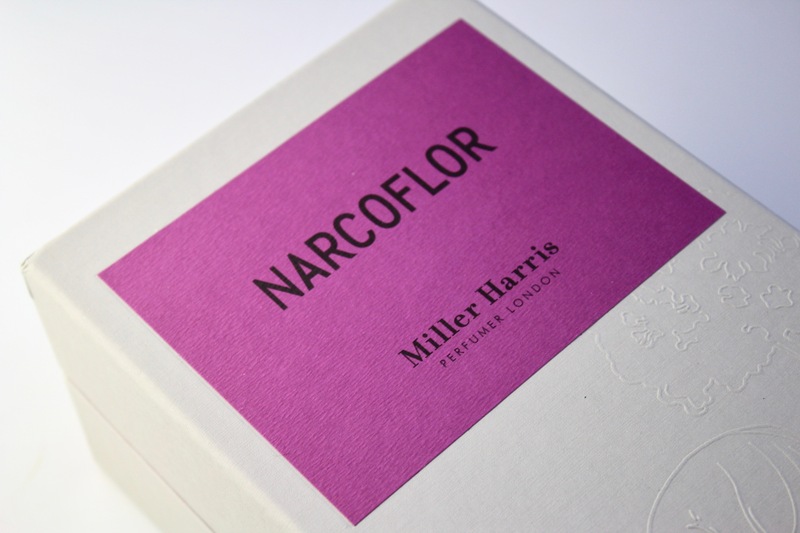 Miller Harris describe Narcoflor as “redolent of a huge bouquet of big sumptuous flowers” adding that it is “intoxicating” – and that’s exactly what it is. Narcoflor is heady and full, capturing every element of the floral bouquet, with sweet, narcotic petals set against a backdrop of honey, citrus, and the greenery of leaves and stems. Gardenia feels like the star here, all green and cheesy (as gardenia should be), accented by the bubblegum sweetness of tuberose, the spice of carnation, the honey of orange blossom, the saltiness of lily, and the fresh greenery of freesia to create an overwhelming bouquet that is enveloping and euphoric. So we’ve established that Narcoflor looks and smells fantastic, but how does it perform? The answer is very well indeed! After setting the diffuser up, which itself is very simple – just pour the fragrance into the ceramic and place the reeds inside – I left it the recommended 48 hours to allow the scent to diffuse and placed it in my living room. Now every time I walk into the room I am greeted by a photorealistic bouquet of blooms in neon colours. Whilst I’ve described the fragrance itself in energetic terms, painting it as a rushing, hedonistic bouquet, I don’t find it imposing as it diffuses. 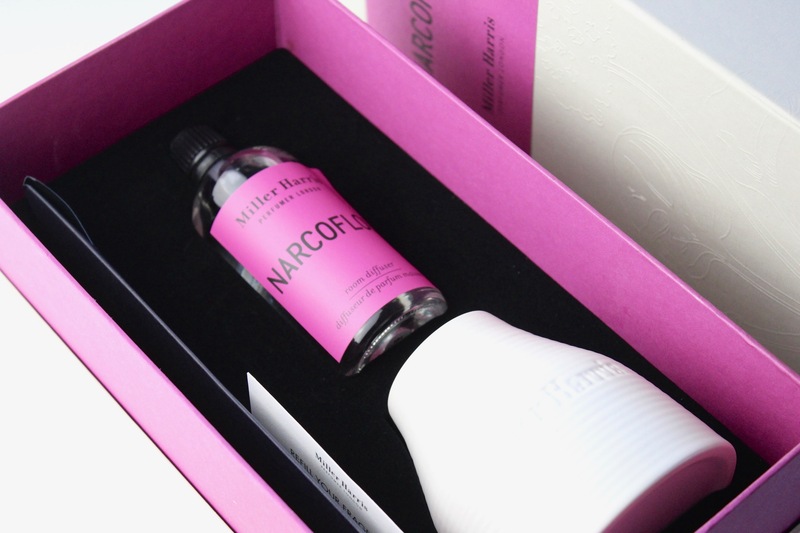 There could be nothing worse than too much scent in a home but Narcoflor walks a nice balance, boasting a bold fragrance with volume, but one that doesn’t place one’s house under a giant pink cloud. All in all, it’s a beautiful thing, truly. 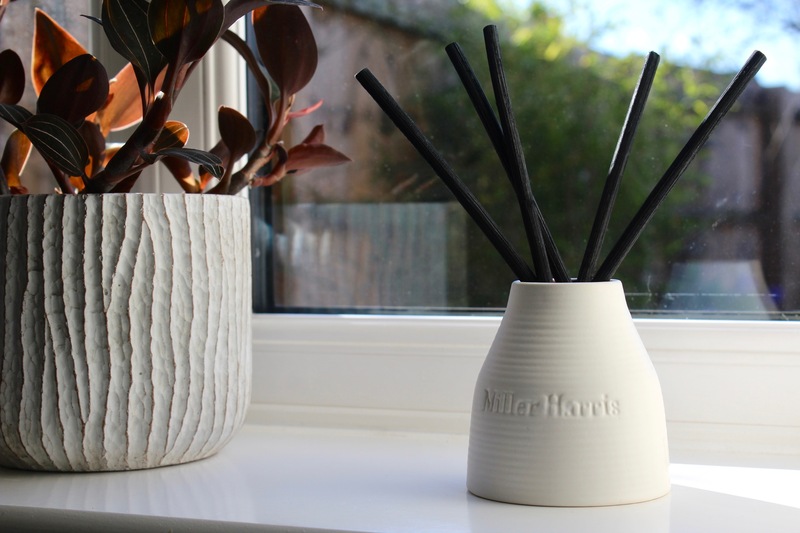 The Narcoflor Reed Diffuser is a limited edition available for £85/100ml. Sample (pictured) sent by Miller Harris for consideration. I was not paid for this review and Miller Harris had no input in the contents of this article. Notes and quotes via Miller Harris. Images are my own. 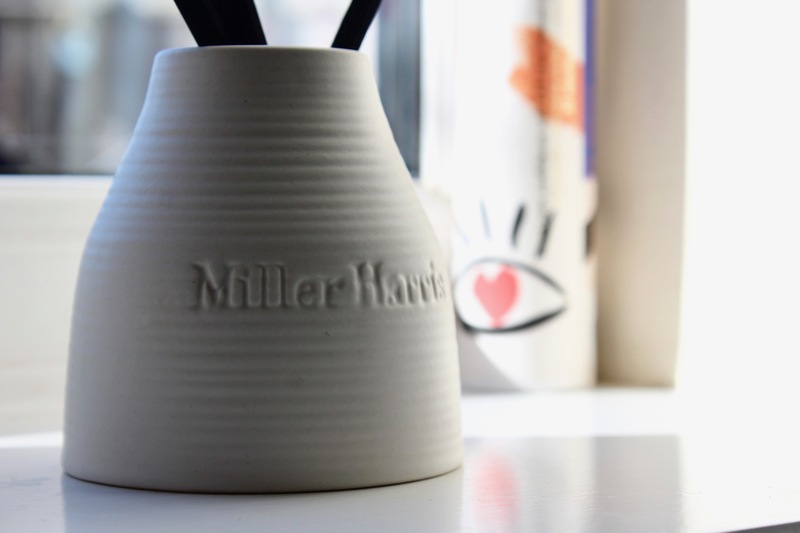 Posted in Home Fragrance, Miller Harris and tagged Art, Beauty, Candy Crush, Cologne, Eau de Parfum, Fragrance, Grooming, Home Fragrance, Interiors, Lifestyle, Miller Harris, Narcoflor, Parfum, Perfume, Reed Diffuser, Review, Scent. Bookmark the permalink.